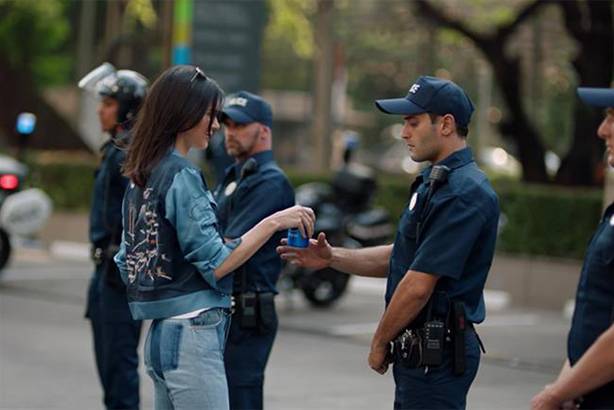 Only five per cent of the British public would "fall out of love" with a brand that created a "misjudged" campaign like the recent Pepsi ad featuring Kendall Jenner. That is according to a new quarterly survey of 2,000 Britons, carried out in February by consumer PR agency Tin Man and survey business Censuswide. Tech giant Amazon was judged to be the nation's favourite brand out of a list of more than 100 major companies, with Facebook coming second. In food and drink, Coca-Cola top scored with 31 per cent of the vote, while rivals Pepsi came fifth with 13 per cent, for example. Respondents were also asked to explain reasons they had for "falling out of love" with brands. Almost 40 per cent cited poor customer service as the chief reason, while 33 per cent said poor product quality. The third most commonly cited reason (22 per cent) was pricing. Only five per cent said a misjudged ad campaign or outdated advertising would make them stop loving and stop buying a product, the survey shows. Tin Man then conducted a separate survey of 2,200 people on the the backlash Pepsi faced for its now-abandoned ad featuring Jenner. The agency found that fewer that 30 per cent said they were aware of the ad or the fiasco surrounding it. Of the 742 respondents over 55 years old, only 17 per cent said they were aware. However, this figure rises to 45 per cent among 16-24-year-olds. Respondents who had seen the campaign were asked if they would stop buying Pepsi products because of it. Only two per cent said they would, whereas seven per cent said they now felt more negatively about Pepsi having seen the ad. Four per cent said they now felt more positively towards the brand. Tin Man founder Mandy Sharp said: "Despite receiving reams of negative coverage and having a perceived damaged reputation, Pepsi's ad may well have been a storm in a teacup, with fans of the brand staying steadfast."